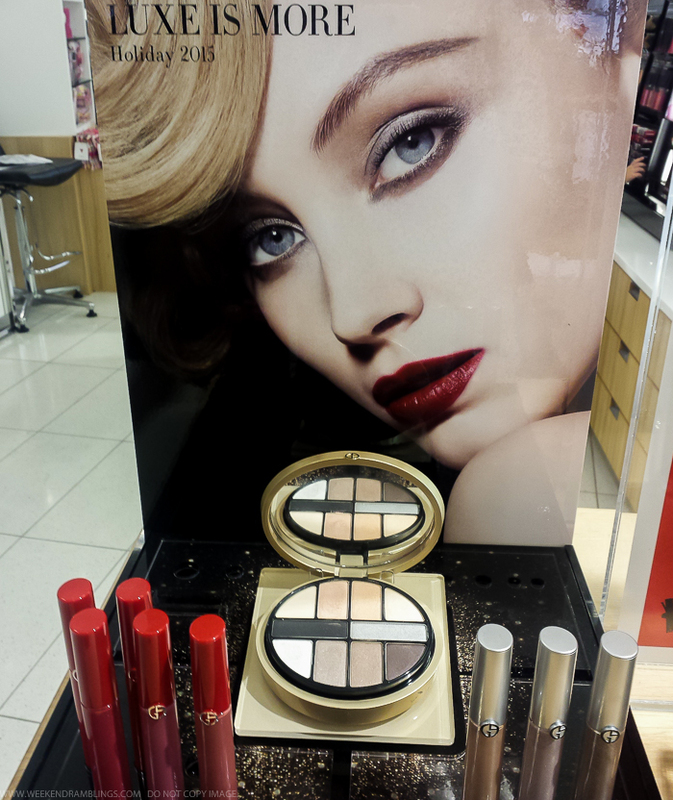 The Luxe is More palette houses 10 shades of eyeshadows as well as a foundation and brightening powder. The soft, shimmery neutral eyeshadows - with rich chocolate and black for deeper eye makeup looks or for adding definition - are housed on the upper level while the brightening foundation and powder are in the lower section of the palette. 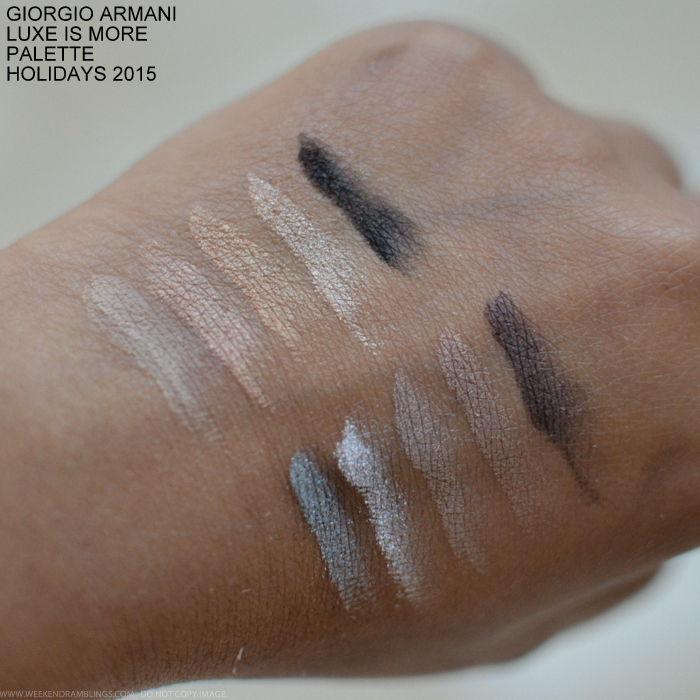 The eyeshadows feel buttery smooth and are quite pigmented. I love the soft neutral shades included in the palette, but I do think these would be a lot more useful for someone with lighter skin tone. Same goes for the foundation and powder, which were too light for me to swatch. 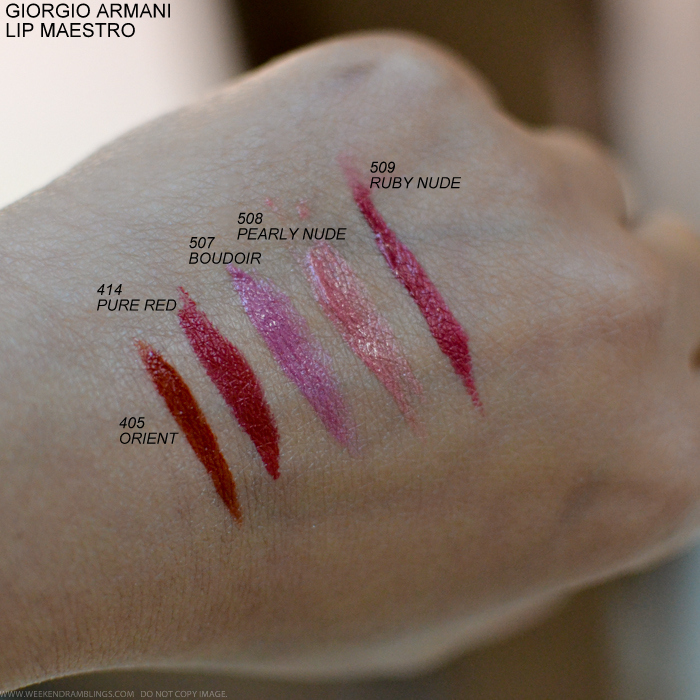 The Giorgio Armani Luxe is More Collection also includes new shades of Lip Maestro lip colors. As always, these are phenomenally pigmented and glossy. The colors included in the collection are mostly varying shades of red though as well as a pink and a coral, all just the sort of colors that are popular during the holiday/winter season. 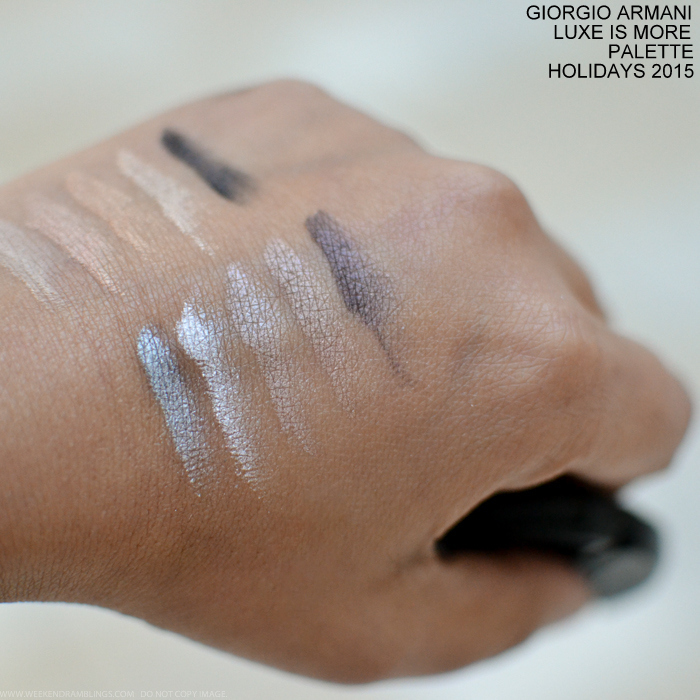 Overall, Giorgio Armani's Luxe is More collection is very holiday appropriate. It feels luxurious, both in its packaging as well as the quality of the products. The colors aren't what I personally would find much use for, but they are definitely beautiful shades that would look - and feel - amazing on a lot of skin tones. 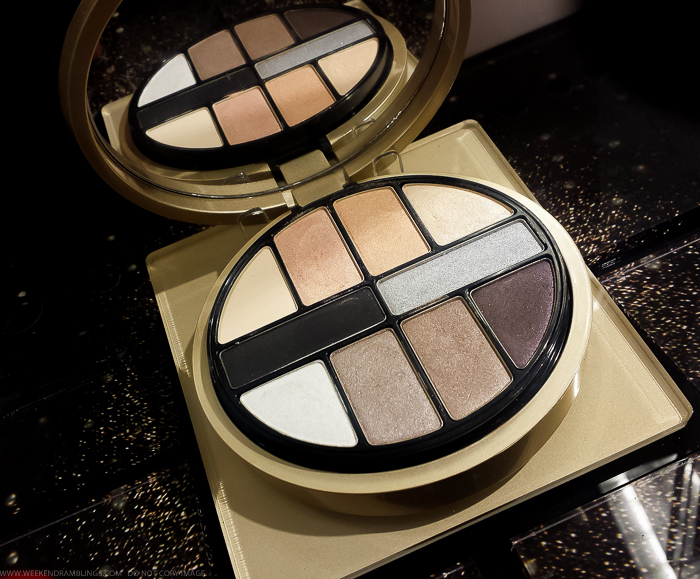 The Luxe is More face-eye combination palette is probably a lot more useful for lighter skin toens, especially because of the foundation and powder shades, but if the colors work for you, then it's worth the hefty pricetag.